Summer break may be your kids' favorite time of year, but typical students lose two months of math skills over the summer, according to the National Summer Learning Association. This season is also the time of the year when parents struggle the most to find productive and entertaining activities for kids. I think summer can be filled with learning opportunities, and they don't have to be boring or dry. Here are my favorite nine ways to help my girls actively learn as we have fun together. Learning can happen in a structured classroom with a desk, paper, and pencil, but my girls won't learn that way this summer! They'll explore nature, engage in pretend play, and meet new friends at the park as they stay active mentally and physically. Yogurt-covered blueberries, garden salads with homemade croutons, and zucchini pizza are just three tasty recipes my kids will learn how to cook this summer. We'll also search our local farmers' market for other fresh and in-season fruits and vegetables. While the end result of our cooking sessions tastes yummy, my girls also exercise their brains as they read recipes, follow directions, and use safe cooking practices. 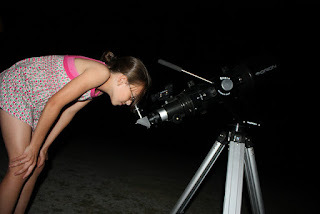 Armed with library books on astronomy and a small telescope, my girls and I will spend hours on clear summer nights searching the stars for constellations. Not only can we sit in our backyard for this fun activity, but I also appreciate that they're learning about astronomy, reading, and having fun. With 59 national parks in the U.S., you're probably within driving distance of at least one. I know we are, so I'll turn the trip into an education for my kids by having them use library or online resources to plan the trip itinerary, learn more about a park's history, and find local wildlife and plants. My girls will also create a travel guide, journal, or scrapbook with their findings so that we can remember this fun and educational trip for a long time. Your kids don't have to be geologists to enjoy collecting rocks. I know my girls simply gather pretty, textured, and unusual specimens while hiking, and they've found some cool ones at our local park or while walking around town. Then, they use books and online resources to identify their new collectibles. Your kids might enjoy this fun and educational summer activity, too. Whether your kids are avid or reluctant readers, get them to read this summer with a few literacy resources and tricks. Join the local library's reading challenge and earn prizes or other rewards. Race each other to see who can read the most books. Start a book club or book exchange with neighborhood kids. No matter which tricks you try, reading this summer is one of the best ways to engage your children's minds and keep them learning. Of course, you could buy bubble solution at the store, but what fun is that? I prefer a homemade bubble solution my girls can mix themselves. Then, we use strings, empty milk cartons, cans, and other unique tools to blow bubbles all around the neighborhood. Repurpose tissue boxes, paper towel tubes, and string into musical instruments as you ignite your kids' imaginations. I store different materials like these in a craft box and let my girls make guitars, maracas, and trumpets. Then, we turn on the music, dance, and play our instruments on rainy days or any day! Instead of being the activity director every day, I give my kids a chance to plan a fun family day. With a budget, they can decide where we go and what we do. In addition to the trip, they practice budgeting, planning, and time management. This summer, your kids can keep learning even though they're not in school. I personally like these nine activities and enjoy doing them with my girls. Which activity will your kids try first?